One of the pleasures in life is listening to fine poetry read in person by the poet–at least one of my pleasures in life! 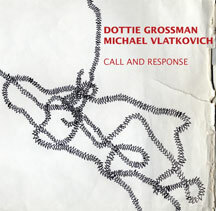 Tonight at 7:30pm I am fortunate enough to go to the Artists Union Gallery, 330 S. California Street, Ventura at the beach promenade to hear Dottie Grossman do a call and response reading with the very improvisational and creative Michael Vlatkovich and the equally inspired Jeff Kaiser sitting in. Jeff and I have been friends since we were about 6. An open mic follows where I’ll read a poem or two, then we’ll have a drink somewhere and share stories. Tomorrow morning, I’m off to have caffienated beverages with Kaiser just like we used to before he abandoned me alone in Ventucky and went off to get his Ph.D at UC San Diego. (I know, I know–I could have gone to! but I am stuck in Ventuck and left to follow his intellectual and other adventures in green tea, yoga, whisky, etc on his blog.) The picture of Dottie, by the way, was photo-shopped by Kaiser. So listening to recordings is a reasonable second best to hearing a poet in person. I have some favorites on-line like Paul Squires who blogs at gingatao (happy holidays, Paul!) Word Salad is another great source and Rafael Alvarado puts on a lot of shows on blog talk radio. In addition to on-line recordings, there’s plenty of spoken word YouTubes but on most of them (my own included), the audio is not very good. And then there are CDs–lots of them, actually, as recording has become easier and cheaper and so has making cds. Some CDs are very professional, like Danika Dinsmore’s All Over the Road; her’s also integrates music. Others are not that great for a lot of reasons. “Reading Ellyn’s poems from the page is one thing but hearing her read them just the way she meant them to be heard is something else altogether. Ellyn has a great sense of humor and reads wonderfully. The musical accompaniment on the album is not mere background filler but a true collaboration between Ellyn and the musicians that really works.”–Henry Rollins. I’ve been a huge fan of Ellyn’s since I met her back about 1996 and first started hearing her read around. I’ve bought her books, both formally and informally published, and enjoyed them. The format here is lovely–you get both a CD and text of the poems; this way, you can put the CD in with the others and the book on the shelf! I’m looking forward to putting this CD in the changer in the car and listening to it on road trips. This CD starts out with a prologue and two important pronouncements “I’m 84,” and you can tell from the craggy voice, he is at least that old. The first poems ends with “I simply have to trust whimsy.” This project offers 49 poems by Robert Peters set to music by Harlan Steinberger; like Ellyn’s cd, the poems are here like in a little book. A poet, critic, scholar, playwright, editor and actor, Robert Peters was born in 1924, received his BA in 1948, MA in 1949, and his doctorate in literature in 1952. His first book of poetry, Songs for a Son, published in 1967, is still in print (W.W. Norton). His publications and awards are many. I look forward to sharing some of these works with my 89 year old father-in-law. 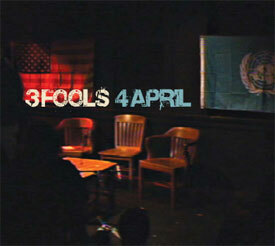 3 Fools 4 April is a CD/DVD set of a poetry reading given by Scott Wannberg, Hank Mortensen, and Viggo Mortensen in support of the Beyond Baroque Foundation in Venice California. It comes as both a CD and a DVD; instead of one poet and music, you get three poets and no music as far as I know as I haven’t heard this yet myself but am intrigued after reading this very positive review by Richard Marcus: “All the little clues that you normally get from watching a person come through on a DVD. Whether body language or eye movement, it all helps us to interoperate the poem all the better,” writes reviewer Richard Marcus. And yes, it’s that Viggo Mortenson reading with his son Hank (whose mother is Exene Cervenka is memory serves me right). 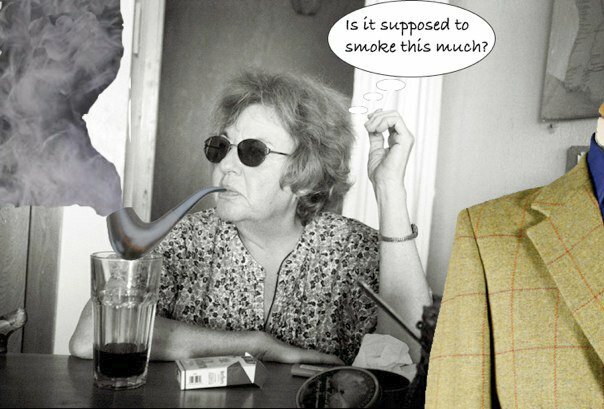 To get you “in the mood” to listen to Dottie Grossman, here’s five fun photographs and four of Dottie’s poems. And just in case this matters to you: Ellyn sent me the Henhouse CDs, I asked Scott for one of his but he hasn’t responded yet, and Kaiser gave me a copy of Dottie’s a few years ago. amazing gig , Jeff–what a team! and a new CD also out soon–can’t wait! Thanks for the props AP. I totally agree with you and Rollins about Ellen Maybe. Hearing her read her work IS something else. Not familiar with Dottie Grossman, but I’ll check her out. Man, reading this makes me miss you and Ventucky and the great spirit of the readings you produce! Thanks for mentioning Wordsalad! I look forward to another year of helping to promote contemporary spoken word & poetry. We miss you too Danika! Looking forward to seeing you this year! You’re welcome, Paul. I plan on getting over there more often this year. Do you know these poets and CDs? I will send you something, I swear! I’ve talked with Jeff for years about doing a CD myself; maybe I’ll actually get to it in 2010.
see if I had too. It’s what music & poetry is all about. It’s all happening, AP. Thanks for the linkage. I am taking my work onto the stage this year, by hook and by crook. See you soon! Thanks so much for the flattering words. It was great to see you last week and I look forward to more. We’ll be at Muddy Waters in Santa Barbara on 1/14 and at Bell Arts in Ventura on May 29.